Der Kleine Horrorladen in Erding – Sunshine. Whimsy. Tacos. 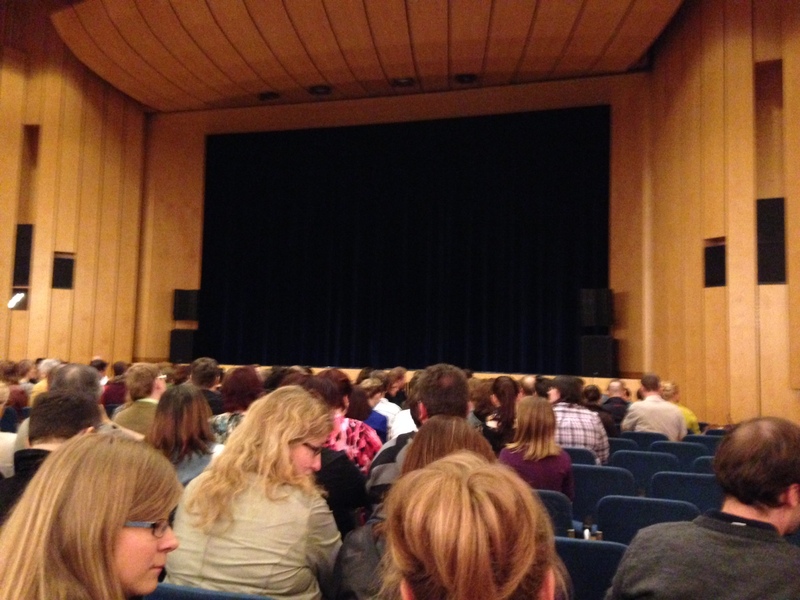 In the first week of April, I took a relatively brief trip to Erding to see Der Kleine Horrorladen, which is one of my favorite musicals – the Little Shop of Horrors – completely in German. 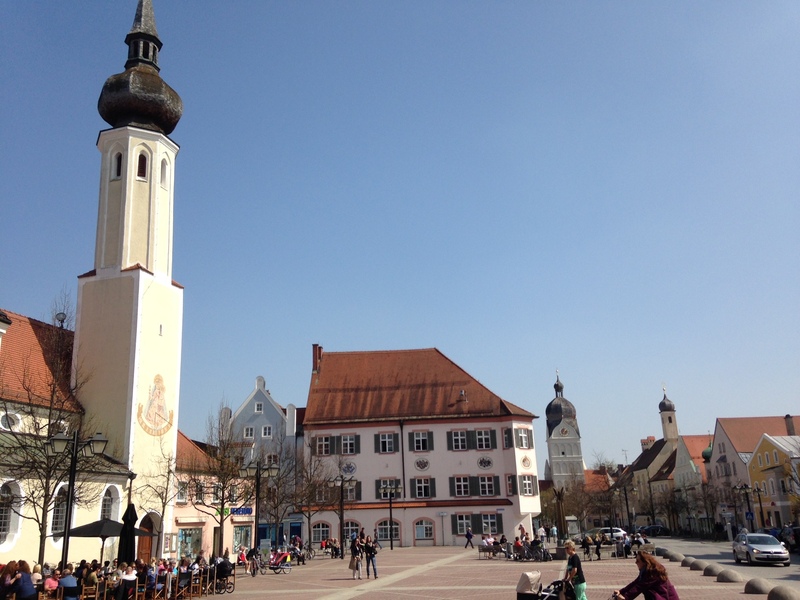 Erding is a small-ish town a little to the north of Munich. By car, it would probably have taken me about 90 minutes to get there, but using public transport it was an 80 minute train ride to Munich, and then a 51 minute S-Bahn ride out to Erding. I debated whether to stay overnight for this, but I’m really glad I did- trying to make it back to Munich after the show would have been rushed, and I would have been on a late train that gets back to Regensburg at around 1:30 in the morning. Sleeping in Erding and having a more relaxed trip back to Regensburg in the morning was definitely the way to go. 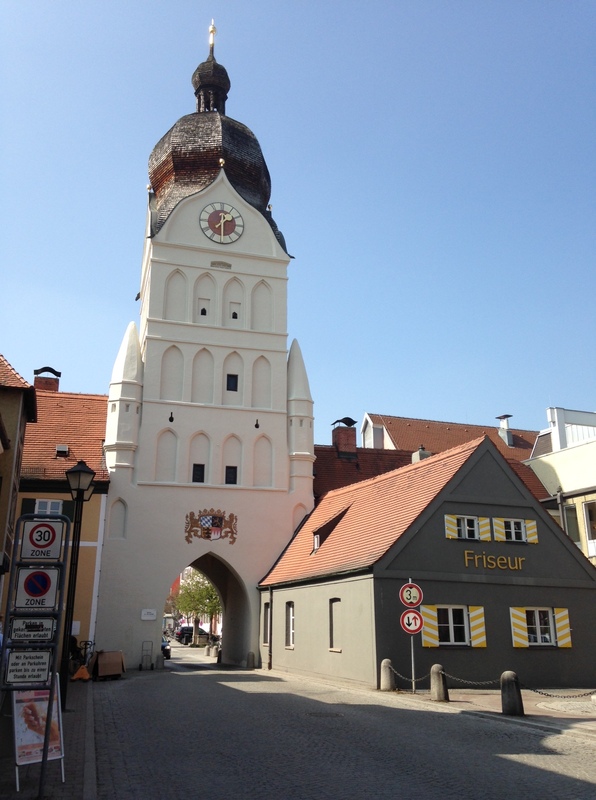 Erding is a nice little town. When I arrived, I walked from the Bahnhof to my hotel, a little under a kilometer. The center of Erding is very compact. I like towns that have this kind of “gateway” in their architecture. Sunny weather means the sidewalk cafes are full, even on a Wednesday. Lunchtime is serious business in Bavaria. In the evening, I want to Stadthalle Erding for the show. The auditorium isn’t a full time theater- the seats are really just numbered stackable chairs. They have a decent stage though, and the acoustics weren’t as bad as I expected them to be for a room that is entirely done in wood paneling. My seat was literally the furthest seat you could possibly get from the stage. As for the show, this is a small touring company. The picture and video below are promotional material for this particular cast. I’ve seen nicer stage versions of the plant, but I still enjoyed the show quite a lot. I’m always fascinated when I see musicals here to see how they change the lyrics, which were originally English, to German. When I saw West Side Story, they actually kept the songs in English and only translated the spoken dialogue. Here, the entire thing was auf Deutsch, end to end. Just as with Starlight Express, some of the lyrics had entirely different meanings in order to have a rhyme scheme that would fit with the music. I was pretty impressed with how much of the original meaning could be kept without losing rhyme or rhythm though. Have you ever seen a musical auf Deutsch? 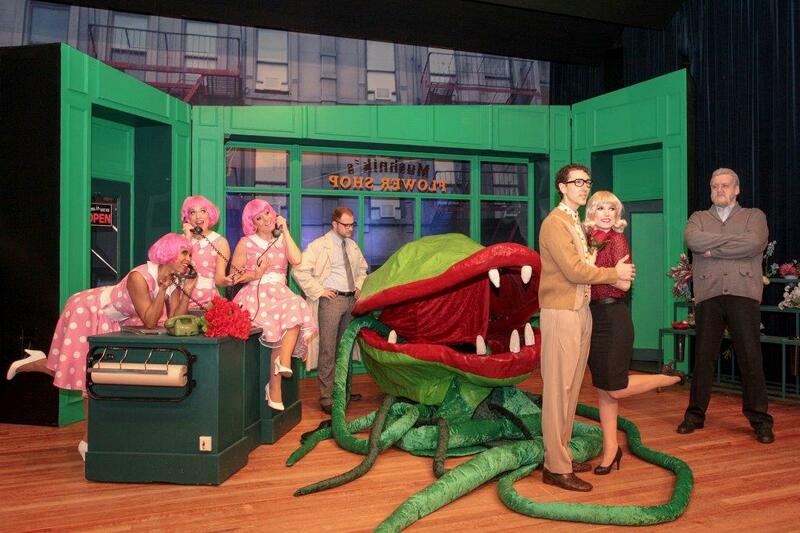 Was it The Little Shop Of Horrors? When we saw The Rocky Horror Show they kept the songs in English but spoke in German. It was odd… especially when there was a spoken line in the middle of a song! I’ve seen Starlight Express twice in German. The set up in Bochum is amazing! I agree. Did you see my post about Starlight Express? I kind of wonder if they reached the 10,000th show yet. We had a good time on the donau,at all the volksmusik fests,and all the girls and ladies in their dirndls and the boys and men in their lederhosen,,letting alone also we saw quite a few girls and ladies too wearing very short ladies lederhosen with the matching suspenders ans the cross bar at the breasts level ,wich made us buy one eacc me and my husband,it’s so cool once you’re in it !